What trends are developing? What's around the corner? 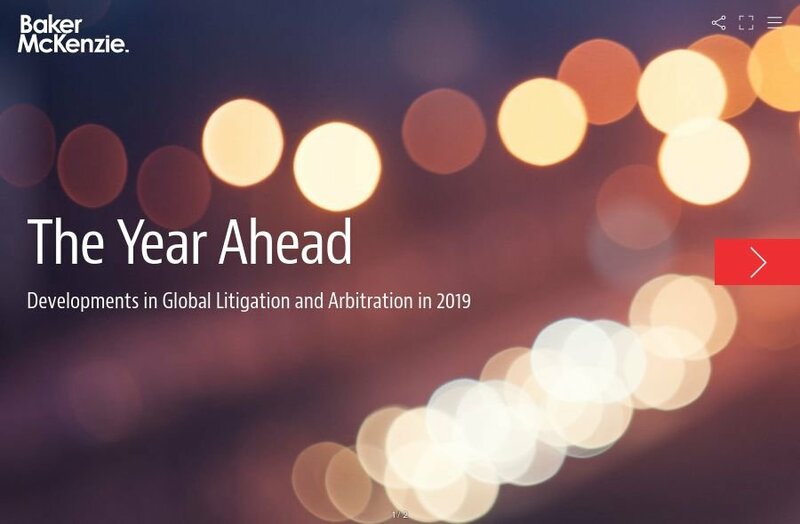 We have drawn on the expertise of our global dispute resolution team, consisting of over a 1,000 lawyers in 78 offices, to present the themes and developments we expect to see in the world of litigation and arbitration in 2019. It is not easy to select the most important disputes trends on a truly global basis. However, we certainly can see that the litigation funding market continues to grow, investor-state dispute mechanisms are under scrutiny, and class actions are spreading outside the US market. Ongoing global trade dynamics such as Brexit, tariff wars and economic sanctions, and possible related disputes, continue to cause concern. We are also witnessing new types of litigation emerge, such as climate change litigation, disputes over Standard Essential Patents in the "internet of things", and the unique challenges of blockchain and cryptocurrency disputes. Innovation - Giving us new analysis tools which can assist case preparation and predict outcomes. Competition - Leading to new international courts, and improved procedures from existing venues. Co-operation - Working relationships between governments and between national courts hold the potential for a revolution in cross-border enforcement.